A friend recently gave her daughter a play kitchen for her 2nd birthday and I wanted to help her stock it. 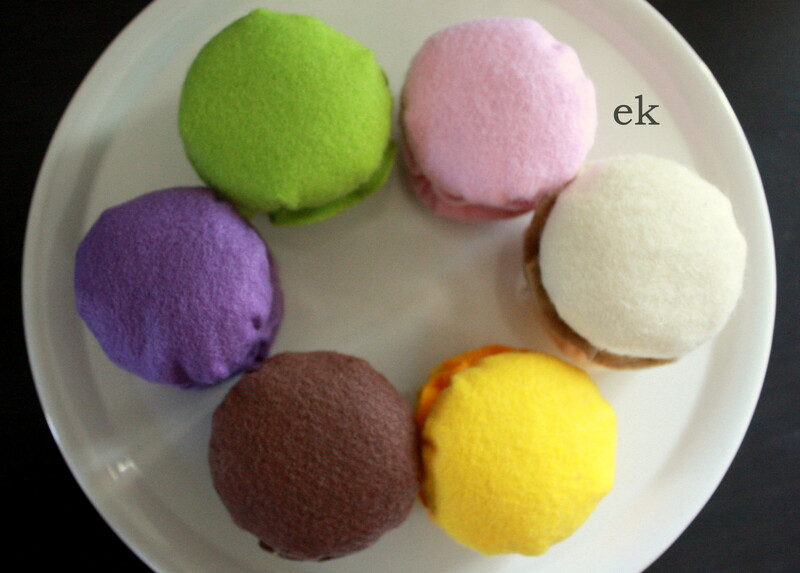 Her love for macarons made them the obvious choice. 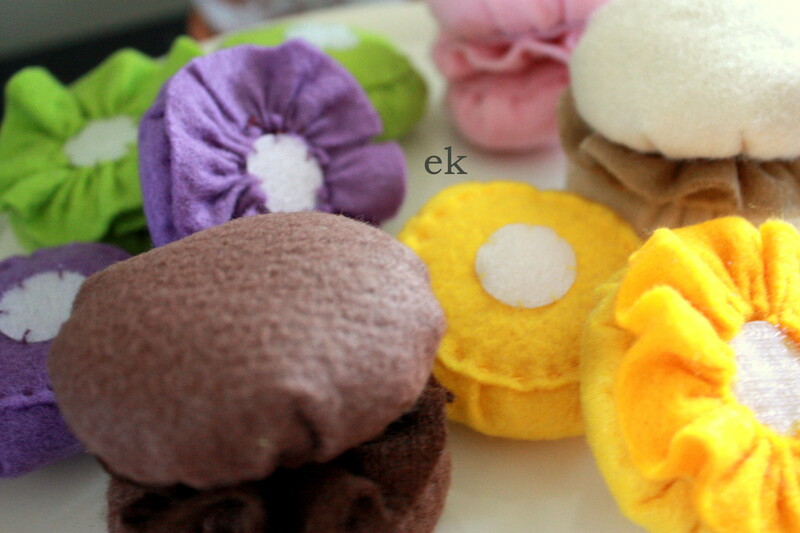 They are made largely using this tutorial. 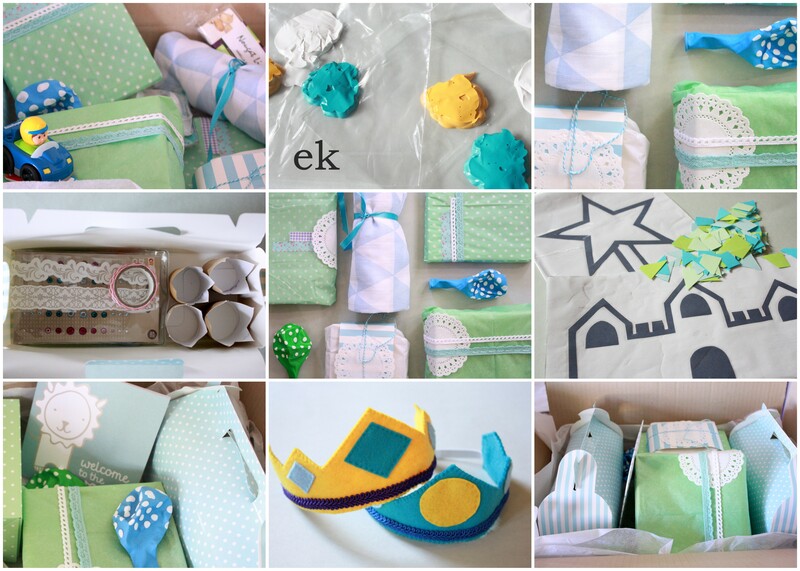 All packaged and ready to be posted (better late than never, sorry R!). 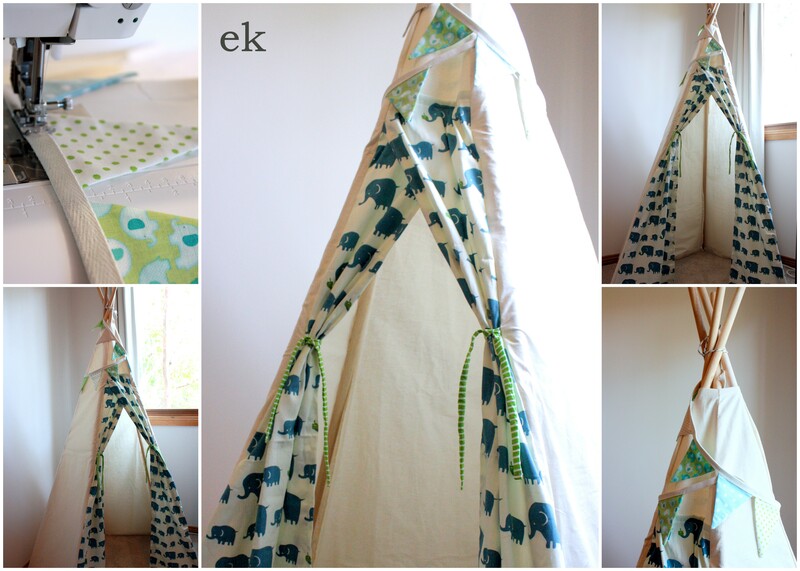 I have been meaning to sew this teepee for the little man for months and there’s nothing like the impending arrival of a baby to motivate these tasks (especially as it ended out taking only a couple of hours to make). He loves cubby houses so I’m hoping he loves this new corner of his bedroom. My inspiration is from Jen Loves Kev, This Little Mama and A Beautiful Mess (although there are plenty of others around, and some non-sew options if you’d rather not sew). 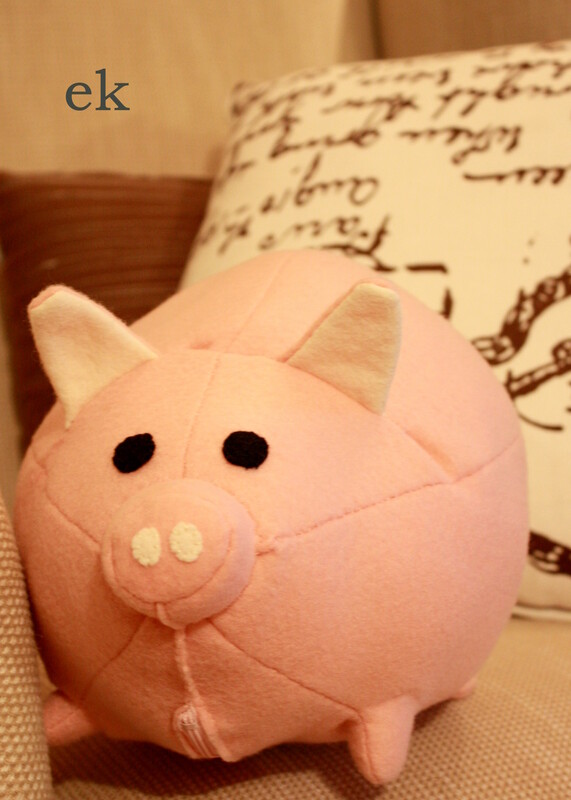 I left pigs until late in our farm theme to give myself time to sew this felt pig. 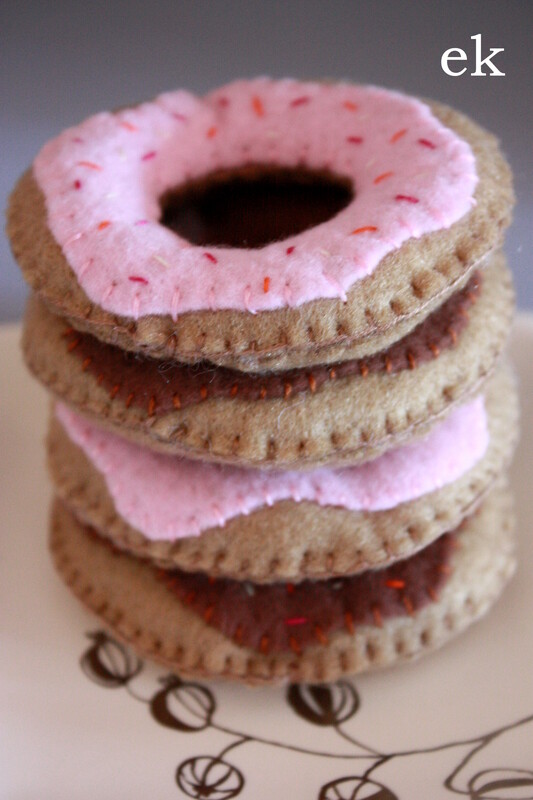 I needn’t have bothered because all it meant was that I put off making it for a few more weeks. The pattern is modified from this one by Lorraine Teigland published in The Guardian (UK) earlier this year. 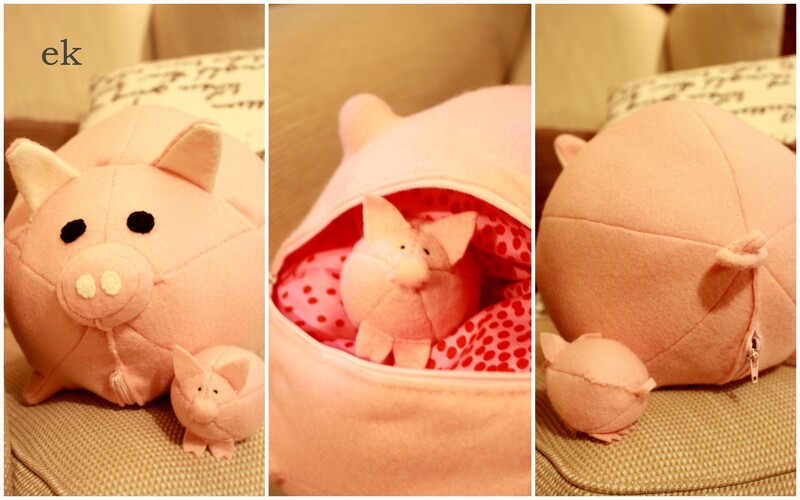 She has a little pocket in which to keep her piglets (or in my case, piglet, until I make some more). 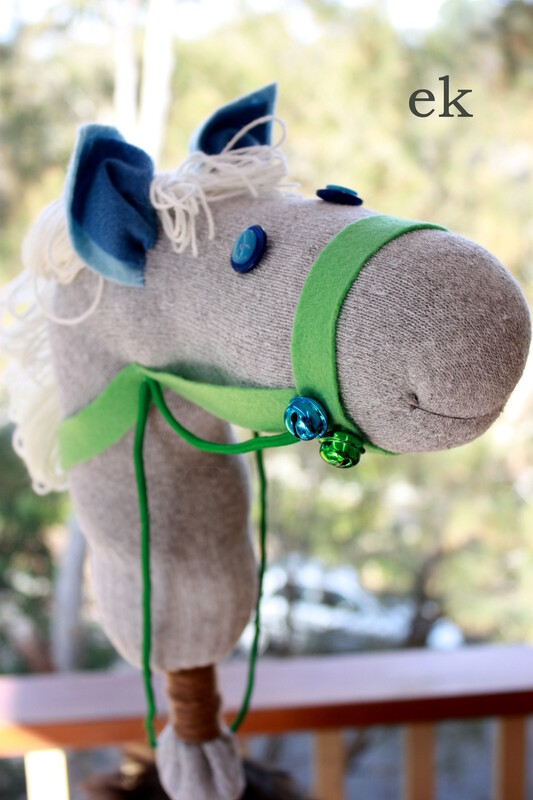 This was fun and quick to make and the little man took to galloping on it immediately (followed shortly after by using it to sweep the floor). 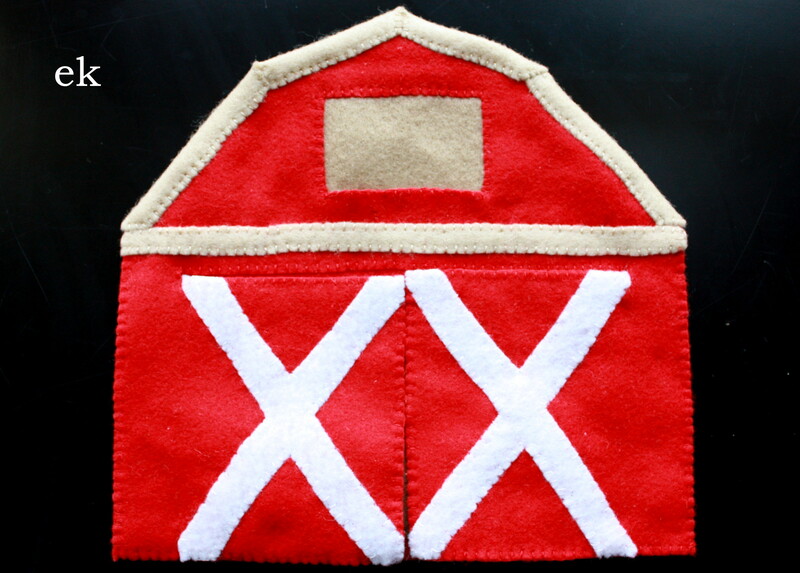 I used this tutorial but there are plenty of them if you’re wanting a little horse and rider at your home. 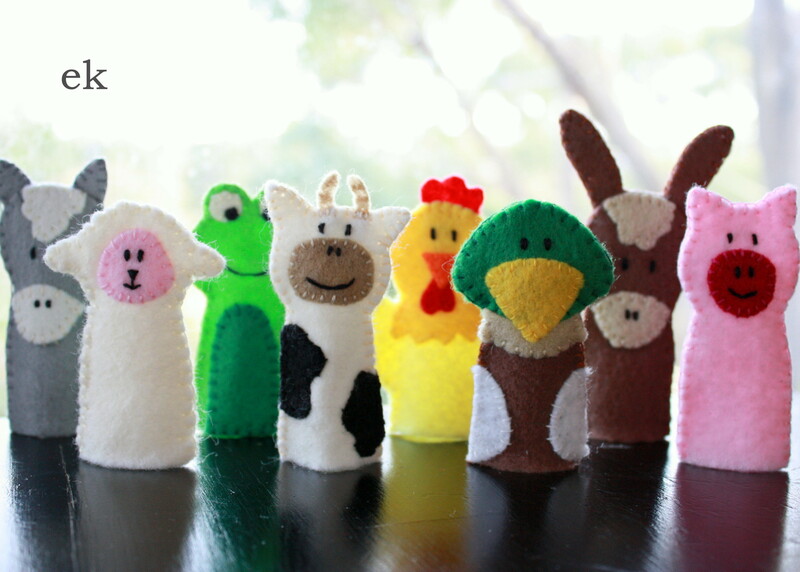 Old MacDonald has been the song of choice here lately so I thought I’d make some finger puppets to use as we sing. 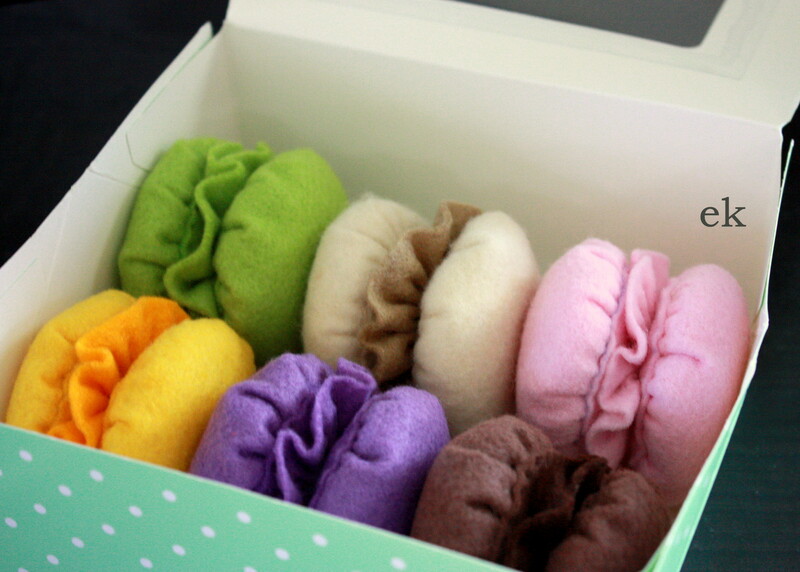 And somewhere to keep them. 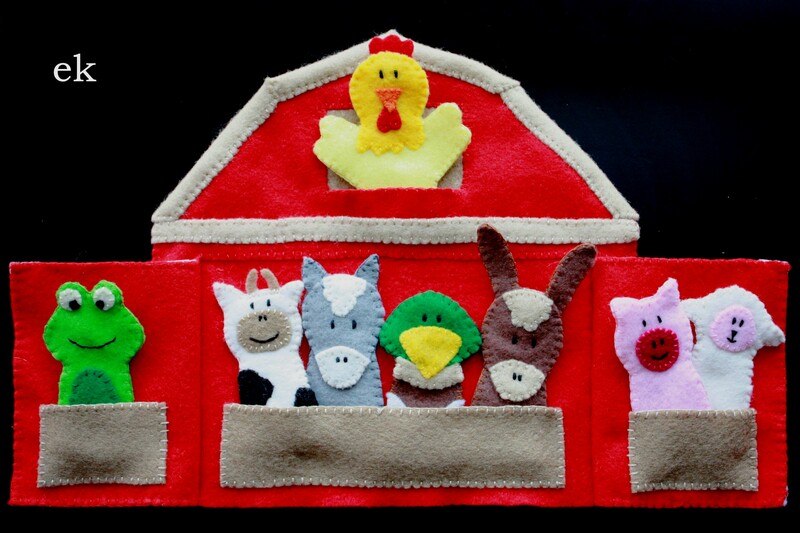 My barn and finger puppets were inspired by a page in this quiet book by Homemade By Jill. 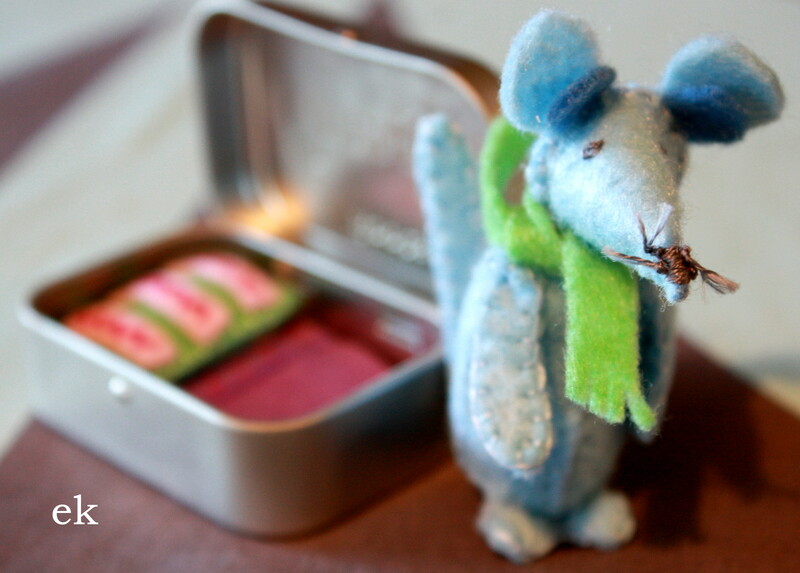 When my husband came home with a tin of mints I immediately saw its potential as a home, so I set to making this mouse (loosely based on the Jofus and Lally pattern on Ric Rac). Now I just need someone to eat the displaced mints. 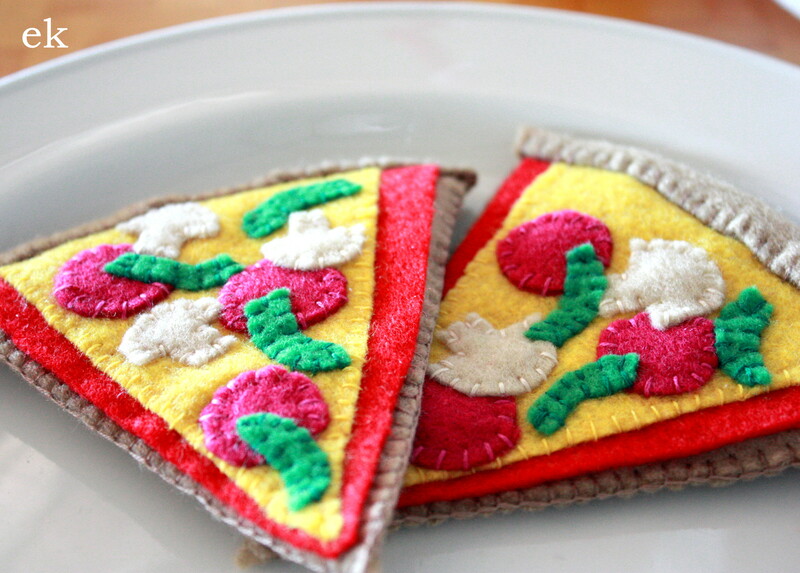 The present of felt food I am making is slow in coming but now includes some pizza slices. Mine are inspired by these pizza slices. 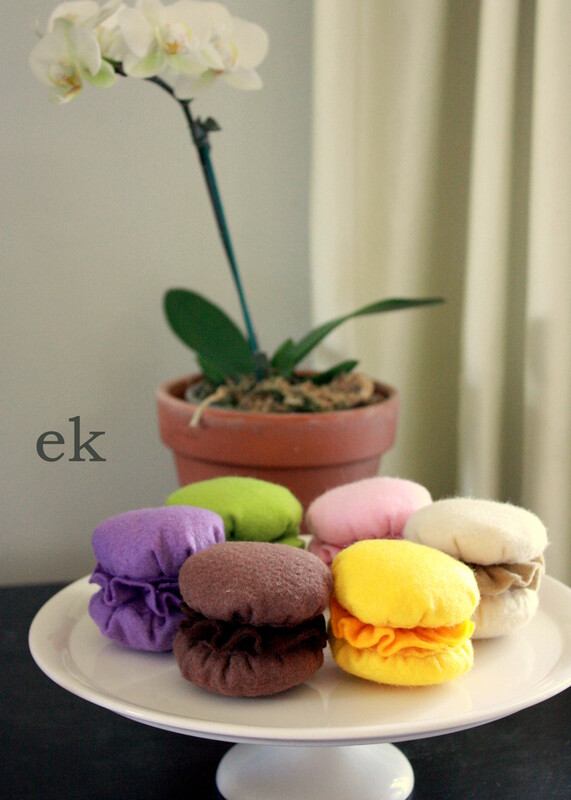 I have been wanting to make some more felt food for a little while. 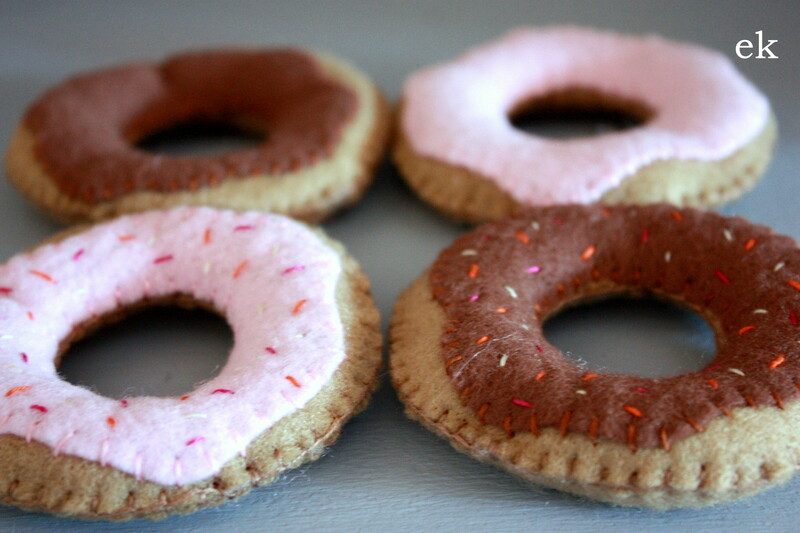 Finally I have managed to start a little present for a friend’s son’s birthday with a few donuts. I have more ideas so hopefully I’ll have a few more pieces to add soon.